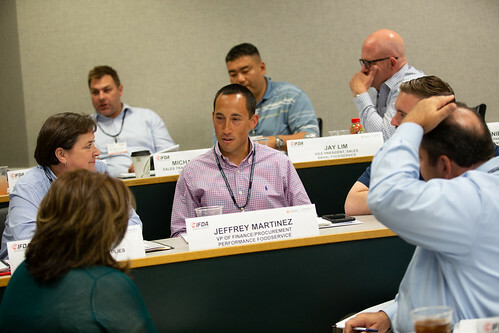 The IFDA Executive Development Program for Foodservice Distributor Executives is designed to take high potential employees at your company to the next level through a process of personal development that is both challenging and rewarding. Participants come away with improved leadership, analytical, and problem solving skills. With IFDA's customized program, they have the opportunity to develop those skills with other high potential people in the foodservice distribution industry. 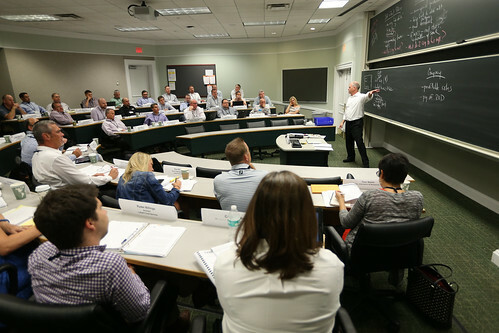 This groundbreaking program is conducted with the world-renowned University of Virginia Darden School of Business. The Financial Times ranks Darden’s faculty No. 1 in the world and The Economist has ranked Darden the No. 1 educational experience in the world for three consecutive years. Realize their full potential as a leader. Between Module 1 and Module 2, there are a total of 35.5 classroom hours. The first day includes Leadership in Action case study, a reception and dinner, and concludes with learning teams meeting. The day features case studies addressing: Critical Thinking & Decision Making, Decision Analysis, Developing an Enterprise Perspective and The Nuance of Negotiation. The day concludes with a networking reception and dinner. The day features case studies addressing: Financial Statement, Financial Analysis, Strategic Thinking and Change. Learning teams will also meet. The day concludes with a networking reception and dinner. The day includes a two-part case study on Embracing Innovation, Creating What's Possible and Action Planning for Module Two. The program concludes at 3:15 p.m. The Deadline for Enrollment is for the 2019 Class is December 21, 2018. Questions, please call (703) 532-9400. Register today. 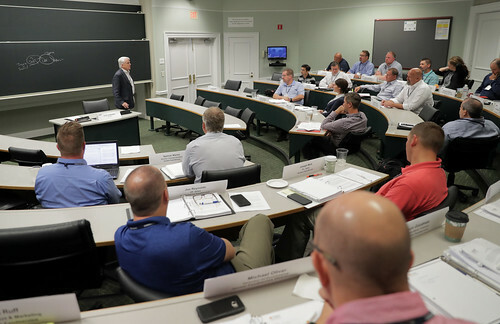 Students enrolled in the Executive Development Program stay at the historic Inn at Darden, the on-grounds hotel and conference property of the University of Virginia. Conveniently located next to UVA’s Darden School of Business, the inn is a 10-minute drive from downtown Charlottesville and a quick walk from shops and restaurants just off grounds. Rooms include pillow-top queen beds, microwaves, coffeemakers and mini-fridges. Complimentary Wi-Fi and work desks also make it easy to stay connected and productive throughout your stay. Reservations: Are made for participants automatically when they register for the program.